The finale episode of MTVRoadies will air on 19th June 2016, Sunday on MTV India at 7 pm. After several weeks of hard work by the contestants, the champion will be revealed as the finale night will end. The three finalists are from two different gangs. RESULT IS GIVEN BELOW. Balraj and Gaurav are from the gang of TV actor Karan Kundra while Roadies X2 winner 2015 Prince Narula has Navdeesh from his side. All these three have proved their mettle by performing various tasks assigned to them and winning. Gaurav got a second chance and utilized it to the fullest and secured his position into the finale. The three contestants will now have to find the core elements of life – Earth, Water, Wind, and Fire. Then only, the result of the final battle will decide the winner of Roadies X4 2016. Karan Kundra, while talking to the reporters, said that he is happy with the performance of the two contestants from his gang who made into the finale. Further, he hoped for the best man to win as the final task will ask them to put their everything. In the meantime, the fans and followers of this reality show took to Twitter to predict their winner of MTV Roadies 2016 X4 season. A majority of them came into the favor of Balraj and Gaurav. Until Sunday night, we all can make the predictions as the real Roadies winner 2016 will be declared then only. UPDATE: Balraj has won the title. 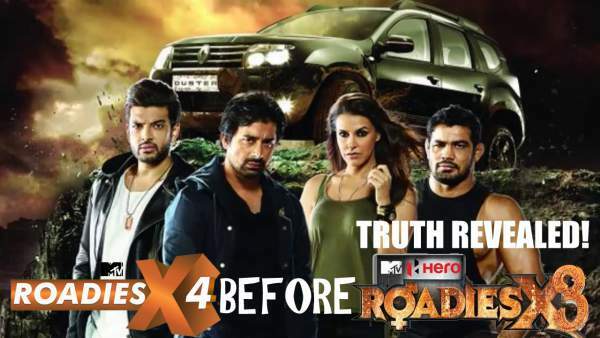 The youth based tv reality show has Ranvijay Singh, Prince, Karan, and Neha Dhupia as the gang leaders. This year, the show had been in the news due to several reasons. One of them was that the Bollywood actress Neha Dhupia walked out of it when VJ Gaelyn made some remarks at her. Another time, it became the headlines when a contestant escaped death. While performing a task, Karishma’s float capsized which resulted in her falling into the river. Gang leader Ranvijay immediately jumped into the river to save the drowning Karishma. In that task, she was required to cross the river, but she fell into the raging waters. Without sparing a second, Ranvijay acted immediately and saved her. All are very strong contestants.All the very best both of you. balraj paa g is a genuine man he should win if there’s nothing like cheating exist in roadies. Navi vi u have to win ..
Bal raj and gaurav the legends will win ,@ karan kandrulla ,Balraj paji u well deserved the title. Balraj…..yes you are the winner!! My favourite contestant Gaurav supporting him from the beginning of Roadies X4 didn’t win the title Rodies X4 ……Feeling very very sad…..
Hope to see you in splitsvilla and I wish to win the splitsvilla…..